Living in New York City’s tech community for the past year has been a wild ride. But we’ve seen more success than failures and it’s inspired us to keep running. We’ve seen pivots, partnerships, massive hiring, a major acquisition and rapid rounds of funding. We welcomed accelerators like TechStars and DreamIt Ventures and played with new incubation models like Gramercy Labs Collective and Prehype. 2010 was a spirited year for the New York City startup scene with hundreds of companies launching out of coffee shops and studio apartments. Coworking spaces like WeWork Labs, General Assembly and Dogpatch sprung up to house them all. After a year in the business, it’s safe to say that our entrepreneurs have learned a thing or two. They learned how to hustle. How to hire. How to talk to users (and how to keep them). They learned when it’s time to pivot and when it’s time to put your nose to the grindstone and ignore everybody else. They learned how to raise cash and how to bootstrap it. They learned about camaraderie. Adaptly helps brands take advantage of various social networks including Facebook, Twitter, LinkedIn and StumbleUpon with a single media purchase. The company was incorporated in April 2010 by Nikhil Sethi and Garrett Ullom, who are 23 and 22 respectively. Adaptly was incubated through DreamIt Ventures in Philadelphia and is now based in New York City with 30 employees. “When we look for people to join the team it’s solely based on elements of gut. We don’t even look at resumes. There are some really smart people we’ve turned away because they don’t fit into the team dynamic,” says Sethi. Within the first 24 hours of launching in August 2010, Adaptly had over 400 brands and agencies using its platform. The company expects to exceed $10 million in revenue this year through the services it provides directly to clients and as a white-label service through advertising and PR agencies. Adaptly’s clients include brands and agencies such as PepsiCo, Diageo, News Corp, Razorfish and hundreds more. Funding to date: $2.7 million to date from investors including First Round Capital, Charles River Ventures, Lerer Ventures and kbs+p Ventures. Adstruc launched on August 15th, 2010 in New York City with one mission: to disrupt the outdoor advertising industry. The company boasts 70% coverage of available outdoor inventory across the U.S and is adding 1,000 units of outdoor industry a day to its platform. Earlier this year, ADstruc released a campaign titled, “Billboards for Everyone,” supported by partnerships with BA Reps, Spread ArtCulture Magazine, and JWT New York. Through this campaign, Adstruc has worked with outdoor street artists such as Shepard Fairey and Ron English. Adstruc also launched an epic marketing campaign with notable businessman, Gary Vaynerchuk, better known as “Gary V”. Next up for Adstruc, is a new Billboards for Everyone campaign in New Jersey featuring a notable few reality TV shows by the artist professionally known as Trustocorp. Funding to date: In September of 2010, Adstruc closed a $1.1 million Series A investment led by DFJ Gotham, with participation from RRE, Founder Collective, Jeff Clavier, David Cohen, Kal Vepuri, David Tisch and Social Leverage. Incorporated in November 2010, Artsicle showcases emerging artists and lets everyman art lovers rent fine art for cheap. By joining Artsicle, users like you and me, who don’t have time to keep up with the modern art scene and gallivant around Chelsea, can discover today’s top emerging artists and show off their work in our homes. Users can rent original artwork for just $50 per month or purchase art with prices ranging from $500-$1,500. Artsicle now has 52 artists live on its site, compared to only 10 artists with the first version. Its email list has grown from just friends and family to over 4,000 subscribers. There are over 75 pieces of art out at any given moment, which CEO Alexis Tryon says will triple by the end of the year. “It’s almost doubling monthly right now and I’m pleased to say that we’ve made over $10,000 for the artists in sales and rentals,” she says. When Artsicle first started, Tryon was literally out on the street talking to strangers, meeting with friends of friends and–as she puts it—“accosting people in coffee shops”. Once she launched the first version of the site, she started reaching out to customers with Live Chat. “Live Chat has been the most valuable UX tool. It tells me what people can’t find, what questions they have and what’s not working on their browser,” she says. Tryon also sends out 100 customer service emails per week, reaching out to new users, and particularly power users. She says 15-20% of them respond with feedback. While Tryon currently runs Artsicle with her CTO boyfriend Scott Carleton (pictured above); the two are looking to hire 5 new full-time employees by the end of the year. And unlike other organizations in the art world, Artsicle offers full benefits to its employees, which is a mega perk. Funding to date: After boostrapping and eating ramen for a full year, Artsicle has now raised $390K. Tryon says she now can afford pasta with butter but that she and Carleton are still making less combined than what she was making at her old job at American Express. But she doesn’t regret it in the least. Read our original story on Artsicle here. Launched in April 2010, BillGuard is the world’s first people-powered antivirus system for bills. While the company won’t share its most up-to-date user numbers, it’s found at least 1 unwanted or unauthorized charge on over 20% of its user cards, totaling a whopping quarter of a million dollars in savings. BillGuard’s predictive algorithms alert users of unwanted charges such as hidden fees, billing errors, scams and fraud on credit card bills. It also alerts you when a similar charge on your credit card has been flagged by others or is complained about on the web. This is my third company and one thing never changes, I’m always learning new things about the magical adventure of building a company. A company is a living organism that ebbs and flows with the intellect, creativity, ego and emotions of each individual involved. Managing that orchestra is a fine art and a science. It’s different each time. This time around I’m learning how to delegate better. That’s really important for a CEO but particularly hard for me as a UX-obsessed product-centric CEO. Funding to date: The NYC and Tel Aviv based startup has raised $13 million in total from a number of well known investors, including Khosla Ventures, Founders Fund, Innovation Endeavors, Bessemer Venture Partners, Chris Dixon, Ron Conway, IA Ventures, Howard Lindzon and Yaron Galai. For more on BillGuard, read our full story here. Birchbox founders Katia Beauchamp and Hayley Barna met while sitting next to each other during their first semester at Harvard Business School. One year later, they launched Birchbox, an online service that sends coveted beauty samples to members’ doorsteps every month. It is a $10 monthly subscription (shipping included, US only for now) that delivers 4-5 product samples of the top 43 brands like NARS, Benefit, Laura Mercier, Stila, Korres and Cargo. Since officially launching last September, Birchbox now has over 45,000 subscribers and customers in all 50 states. Total funding to date: $12 million, with a recent $10.5 Series A round led by Accel Partners with First Round Capital, Harrison Metal, Forerunner Ventures, Lerer Ventures, Sam Lessin, Consigliere, Gary Vaynerchuck, Dave Morin, Stanford University Endowment and Andy Dunn. Last summer, 3 music geeks came together to launch ExtensionFM at Google I/O; their product was a simple extension for Google’s Chrome browser that made it 100 times more enjoyable to search for and play free music on the web. Since then, the team has grown in size to 7 employees but shrunk its name to the preferred exfm. Funding to date: $1.25 million from Spark Capital, Betaworks, Founder Collective and Dave Morgan. The mouth-watering photos on Gojee, a recipe startup based in NYC, are delicious enough to make Mary-Kate Olsen hungry. Tell Gojee what you have in your kitchen and curated recipes pop up in seconds. Peruse over 10,000 recipes handpicked from 160 food writers. The site will even deliver recipes based on what you crave and what you dislike. But Gojee wasn’t always so tantalizing. The company officially launched in June 2010 as a Mint.com for groceries. No one wanted it. Then, founders Mike LaValle, Veronica Chan and Brian Borger built Twitter for food. “It was too much. We threw too many features into it and simply didn’t build a good product,” says La Valle. LaValle explains that everyone really loved their recipe feature in the Twitter for food product. “It was a very emotional reaction. We showed it to people and they loved it. We really saw this new wave of connecting the emotional experience of food and content discovery.” Four months later, the current Gojee was born, which is in a battle for users’ taste buds with sites like Foodily and PunchFork. “The one core thing that led to our success is focusing on the emotional product and obsessing about design. We’re really obsessed with how the product sells. People were forgetting about the human element and that’s what we put front and center,” he says. Now the company, which has grown from 2 to 7 employees, has members in 199 countries around the world and 25,000 members registered on its Google Chrome Web App, one of the highest rated in the Chrome Web Store. Funding to date: A $1.2 million seed round led by San Francisco’s Kapor Capital. GroupMe is a free, group-text-messaging startup that launched in July 2010 and may be New York City’s most successful startup to have launched last year. Just a few weeks after its first birthday this summer, it announced that it was being acquired by Skype for a rumored $85 million. Funding to date: Before being acquired by Skype, GroupMe had raised two rounds, bringing its funding to $11.4 million led by Khosla Ventures with participation from additional investors including General Catalyst Partners, First Round Capital, Lerer Ventures, betaworks and SV Angel. We covered Of a Kind’s launch as “The world’s first Tumblr store” in November 2010. Since then, the NYC fashion start-up has been bringing high-end, exclusive fashion to the social media scene. “I think Tumblr lends itself really well to the distribution of visual content. There’s a rabid fashion following on Tumblr. And it targets early adopters,” explains Claire Mazur, one of the company’s two co-founders. Of a Kind combines storytelling and exclusivity, and by latching onto the power of a viral, rapidly tumbling web tool, it’s attracted over 35,000 followers. The company has began launching 2 editions a week and has a big redesign with Hard Candy Shell in the works. Early next year, Of a Kind will be launching a capability for its featured designers to upload their own products from their collections to the site, significantly upping inventory and revenue. Funding to date: $275K from friends, families and angel investor Rick Webb. Savored, which was originally called VillageVines took a very different approach to the daily deals scene. While it looks like a daily deals site, it’s not. It’s an unpretentious fine dining club that helps up and coming foodies dine as if they were making 6-figure salaries. Members pay $10 to book reservations and receive 30% off their entire bill, including alcohol. The discount is applied automatically and discreetly to the bill at the meal’s end, allowing diners to avoid that cheap coupon shame. In the last 6 months alone, the service has increased reservations by 335%, so it’s a win-win for restaurants and customers. VillageVines first launched in September 2010 with 6 employees. Now, Savored has 42 employees and nearly 500,000 members who can choose from over 650 restaurants nationwide. This year, Savored will generate over $25 million in revenue for its restaurant partners. In addition to New York, the site is active Washington, D.C. (the founders are Georgetown grads), San Francisco, Los Angeles, Chicago, Boston, Philadelphia, Atlanta, Miami and Denver. Funding to date: $4 million backed by Hearst Corporation and Grand Banks Capital. We first wrote about VYou when it launched last November, the social video network that’s like a combination of Justin.TV, Formspring, YouTube , and Twitter. VYou is laid back video conversation, letting users send and receive messages with friends and experts in a casual when-you-can-find-the-time fashion. Since its launch, the New York-based startup has served over 50 million video views, launched an iPhone app and Quora style montages. The network features noted VYou members including Bob Vila, Deepak Chopra, Ladytron and Grafitti6. Expect major upgrades to VYou in early December. “Partnerships are wonderful, but don’t let them interfere with your product plan. Stay true to your vision, even if that means turning down offers from some big brands,” adds Spurgat. Total funding to date: $3 million, led by RRE Ventures and Highland Capital Partners. In 2010, Yipit made exactly $0 of revenue; now the company is set to make more than a $1 million in revenue on an annualized basis. Since launch, Yipit has also seen an endless number of company copycats- some of which have copied their design right down to the pixel. During this past year, Yipit has watched daily deals sites take off in almost every country in the world, meanwhile Facebook failed when it tried to do so. In the past year, Yipit has watched Groupon raise $950 million dollars and receive valuations ranging from $30 to $10 billion. Then, just yesterday, Groupon’s IPO put it at the 2nd highest tech evaluation since Google– at $12.7 billion. Funding to date: $7.3 million from Highland Capital Partners, RRE, DFJ Gotham and IA Ventures. 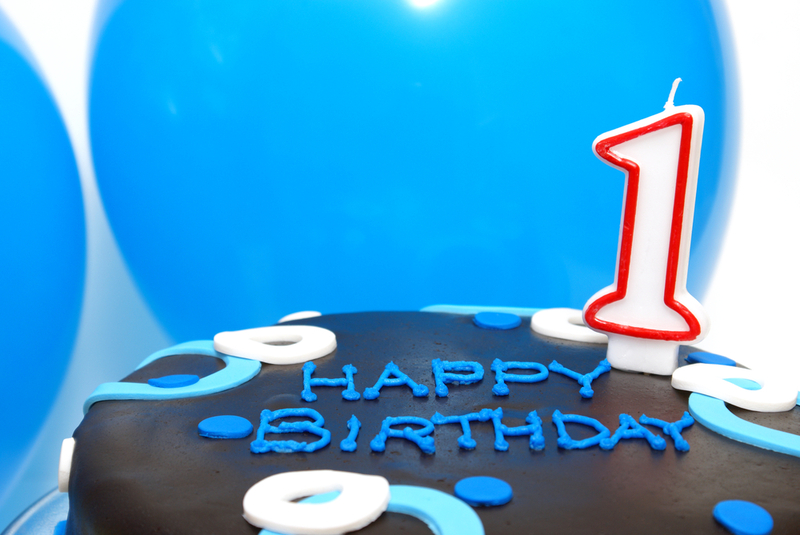 Other great companies that turned one year old in New York City this year include Wanderfly, which in one year inspired 4 million travelers from over 200 countries; Lot18, online flash sales site for epicurean delights, which recently raised $30 million in its Series C round; and AHAlife, which raised a $6 million round over the summer from DCM and FirstMark Capital and is focused on discovery shopping within the lifestyle, wellness and luxury categories. Did we miss anyone? Let us know in the comments. And Happy Anniversary to each and every one!